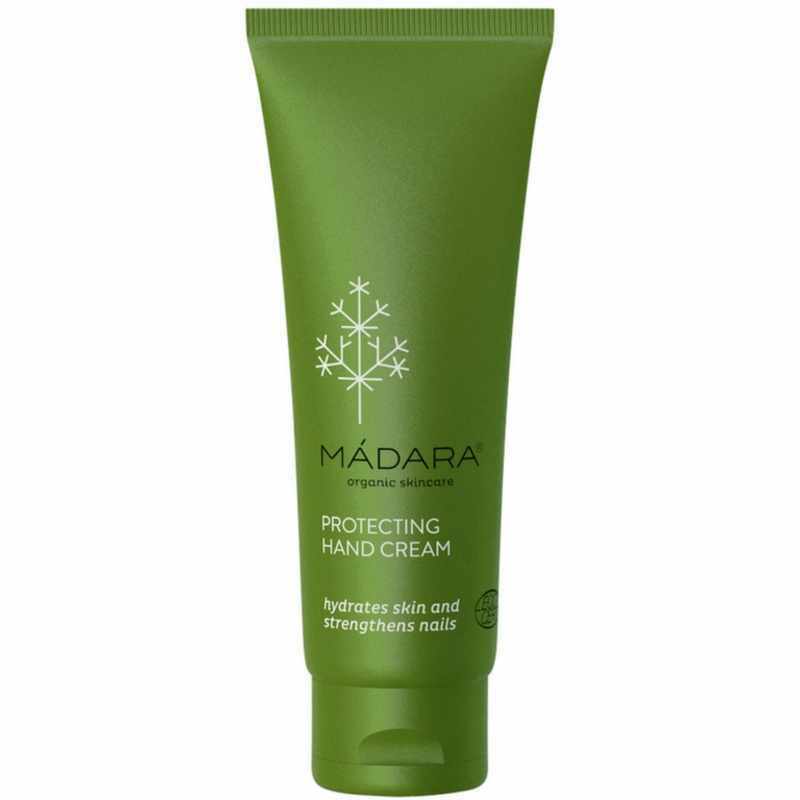 MÁDARA Protecting Hand Cream is a rich and nourishing cream that provides velvety hands. The cream contains a variety of delicious ingredients f.eks.nordiske plums, which contributes to the beautiful fragrance that lotion. Additionally it with linden flowers, which are loaded with antioxidants, cranberries which stimulates the skin and parsley and quince, which provides a lot of moisture, while also giving the cream a slight bleaching effect. The cream is quickly absorbed into the skin and leaves your hands silky and nails stronger.